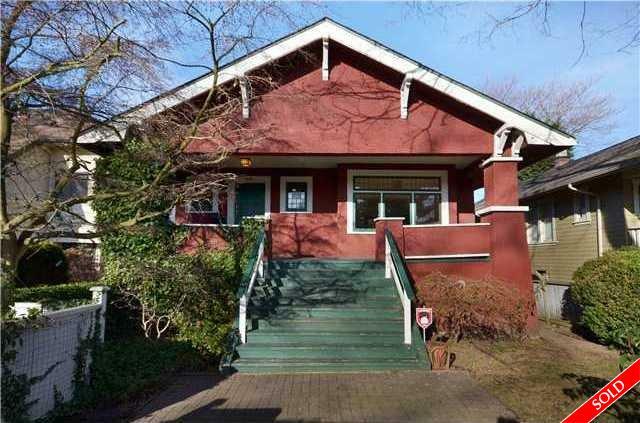 Description: Fabulous craftsman style bungalow in Kits! This is a newly renovated, well maintained home with beautiful hardwood floors throughout. Spacious living/dining rooms, stained glass windows... a wonderful space for entertaining! Kitchen with eating area, french doors to large sundeck & stainless appliances. 3 good sized bedrooms & newer bath. High ceilings make this a very special home. Private fenced garden, 2 self contained studio suites below with separate enty & 2 laundry rooms, lots of good help with the mortgage! Walk to beaches, shops, Bayview elementary school with after school program & Kits high school.